Just came across this site today. I am excited to find a Hungarian organization in NE Ohio. Please instruct me how to join. Father Julius George Fay/Budapest, Hungary Mother Helen Korcsmaros/USA born then returned to Budapest. Looking for relatives, or information thereof, either in U.S.A or Hungary. Great site, can't wait to learn more. Sorry for your time.... Why i can't see images on this resource? My father belongs to your chapter but has not received the newsletter. How does he go about receiving them again? Also have not had the peaseure of going to the outings for a long time and we really miss it. We appreciate our heritage. wow. i love the site. Wonderful site!! I live in Australia. My family moved here from Toronto, Canada in 1983. I wish we had a Hungarian Club like yours here. I was born in the 'Buckeye Road" neighborhood at 119th and Parkview in the early '60s and have many wonderful memories of my Hungarian heritage. I live in Champaign, Illinois today with my family. My father still lives in Northeast Ohio. He called tonight and told me about the fall festival and dedication this past weekend so I had to log onto the Internet to see it for myself. It is wonderful to know that people still work to share our history and culture. I know my father truly enjoyed the hospitality of the club. This is a great site! Thanks for the links page. With a little work, I was able to track down the death notices of some of my father's family, who mostly passed before I was born. I am beginnign to track their existence in the old Buckeye Road neighborhood. Thank you! PS: Had a great time at the dedication of the gate. Guten Tag, biete ich die Zusammenarbeit an, wie sich mit Ihnen zu verbinden? -Our September 10th picnic is open to everyone. Gates open at noon. We are expecting a large gathering so you might want to bring along a lawn chair. -I will add a genealogy link to our links page. -As far as Magyar iskola, I know of two. St Imre's on Cleveland's west side has one. The Hungarian-American Club in Akron has one. we are new to Ohio State, and are looking for a hungarian orgnization to join. I have two young children, and was wondering what you would recommend. We are from Seattle, and attended hungarian school there with them, every other Saturday.  Please let me know if you have any ideas on how we could connect with other young hungarian families. While driving through Cleveland on my way back to Michigan I caught the Hungarian Hour. Where I learned of you picnic on Sept.10. My husband and I plan to attend. Is there a sign up for the picnic? Hi, nice site, very beautifull! Good afternoon, where I can find your coordinates for feedback with you? The gate looks absolutely beautiful! I wish I was there to attend the functions, but some of you know..that we live 11hrs away in Conway, SC. with my parents (John and Jeannie Nemeth)Janos (Nemeth Jancsi-former president). I do miss going to the picnics and helping out, but one day I will make it up there to attend one of the picnics/functions. As I look back at the few years of being part of the club, I am proud that the club has been going strong and has a growing number of members! Keep up the good work and hope to see some of you soon! Once again, great job and I highly recommend for more people of all generations to sign up as members! The food is great, there's the friendly atmosphere, and who can resist the great music! I wish the club much luck and some great fun times. We so enjoyed the picnic yesterday. Our friends live in Hiram and they took us. Loved the Food and Music, cant wait to return.. Thank you for your website. We have found it very interesting and helpful. We always welcome new members, and all of our picnics are open to the public. Hello to everyone in Guestbookville. I am pleased that so many wonderful folks have visited this site. Please check out the pics on the rest of the site. Our Szekely Kapu is coming along beautifully, the pics do not do it justice. I hope many of you will join us on Sept. 10th., for this monumental event in our hungarian community. To my knowledge, there is not another gate of this usable fashion anywhere in the U.S. If there are let me know, I would be interested. I know some churches have a portion of a Szekely Kapu. This one measures 20 feet long and 15 feet high. With two working gates, one pedestrian and one vehicle. Please join us and meet this wonderful carver from Erdely. Good job Erzsi. hello. my family & i would like to attend some activities at the center this year. my mothers side of the family is from hungary. i see that i need to be a member to attend but was unable to download the form. could you please give me information about membership? I am so very pleased to see our guestbook back and with so many positive messages. David and Liz you are both to be commended on the fine job you are doing for this Hungarian club, and for all the work on the website!!!! THANK YOU!!! For those of you who missed our trip to New Brunswick and New York this past weekend, June 1 thru the 4, you missed a fabulous trip even tho' the weather did not co-operate, we had a grand time. The New York tour was better than I expected and was amazed by the sights and sounds and smells on this tour. A very large "Thank you" to Mary Jane, Margaret and Judi and Brandi for all their hard work to make this trip an enjoyable experience. God bless you all!! Im from New York, from the Harmony Band, we played on New Brunswick Hungarian Festival. Thank You that you came to this wonderful event. I know the rain was not so joyful, but we can not control over of that. Wehad a good time and i hope we can see you again, maybe in Cleveland. many kisses to all of you who not only born as Hungarian, but Live as Hungarian. Our guestbook is back! Please feel free to comment. Also, great news for our club finally our woodcarver is here! He will be making a Szekely Kapu for us from beginning to end. We will have a dedication ceremony on September 10, 2006 on the club grounds. The gates open at noon. Hope to see as many Hungarians there as possible! Hello there out there in the world! It is wonderful to see our website and be able to communicate with folks again. I am really impressed with the work that has gone into making this website so attractive. Great job Lizabeth and webmaster. Hogy vagytok? Hello, nice club you have here. I am proud that this site presents Hungarian identity as independent of the blood thirsty austrian/germanic peoples, whom consider Hungarian culture little more than an extension of their own sinester one. Anyway, thanks for your work. Unite Hungary! 15 Million wih out a homeland: 1 million in Slovakia, 3 million in Erlyd(occupied by Romania), 1 million in Ukraine, 800,000 in Serbia's Voyvodina state-Hungarian land--as well as in Croatia. The state of Hungary today is only 27% of the Hungarian nation's true size. We had a great time at the pig roast; Mother Nature graced us cool, dry weather. The roasted pig was ceremoniously tabled and unshafted by the three able bodied young men, while the members watched in great anticipation. Serving of the "ropogos" morsels for appetizer was fabulous. The banquet table was overflowing with delicious foods and deserts. Anyone that missed this event, missed a lot. We are still in the process of setting up our photo gallery among other things. We do have several pictures that we will be posting. Keep checking back. Thanks for your comments. If possible, can more pictures be posted? I would like to see if there are any pictures from the picnic at Hiram, and of the festival at St. Elizabeth's. I am so proud of the job our two web-masters have done with our new(re-designed) web site. Much good info and such a pleasure to see so many folks using our guestbook. I am truly happy so many of you enjoyed yourselves at our last function. Join with us in 2006 to keep our magyar heritage alive. My husband and I had a wondefull time at the picnic. My son David is the Webmaster. Keep up the good work. We had a wonderful time at the picnic. I look forward to it every year! Thanks for keeping our heritage alive. The Fall Festival yesterday was great! Authentic food, fine music, perfect weather. And the club members are real friendly and welcoming!!! I like the new website format. Enjoyed the picnic yesterday. Left my cup out there somewhere! Greetings from Canada, Keep up the great work, it is a real pleasure to read about all the Hungarian Events taking place. Hope everyone enjoys the website. There are more things to come!